Screwfix is set to open two new stores in Northern Ireland as part of its latest expansion across the province. The hardware giant has identified Enniskillen and Cookstown as next on its list of regional towns where it will establish outlets in a move expected to create around 16 new jobs. The firm, which is owned by B&Q parent company Kingfisher, expanded its Northern Ireland presence to 11 stores last year, opening new units in Omagh and Belfast's Duncrue Industrial Estate. The new Enniskillen store, which will its first in Co Fermanagh, will be located in a 5,000 sq ft unit on the Derrychara Link, between the Erneside shopping centre and Tesco. The unit had been listed with an annual rent of £25,000 a year. 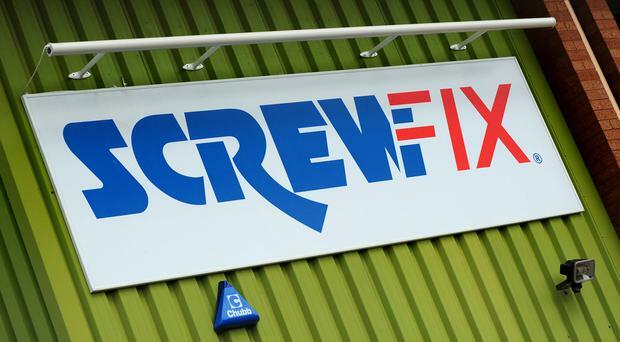 Earlier this week, Screwfix submitted a planing application to Fermanagh and Omagh District Council, seeking to change its use from a retail unit into a Screwfix storage distribution unit with a trade counter sales area. A similar application was submitted to Mid Ulster District Council on Friday, for a new store in a 6,000 sq ft unit at Sweep Road, Cookstown. The new store, which will be its second in Co Tyrone, will be located in a small retail park, which is currently home to a number of businesses including long established Cookstown company Turkington Home Furnishings. The site is just next to the Asda supermarket in Cookstown. Screwfix currently has three stores in Belfast, as well as outlets in Newtownabbey, Ballymena, Lisburn, Bangor, Newry, Lurgan, Londonderry and Omagh. Despite a difficult start to 2018, the DIY catalogue store has continued to be the feather in parent company Kingfisher's hat. While poor weather was blamed on a 9% sales slump at sister company B&Q in the three months to April 30, Screwfix went the other way with a 9% improvement in the same period. Kingfisher also added another 10 Screwfix stores across the UK and Ireland during the first quarter of 2018. Based in Yeovil, the company started life as the Woodscrew Supply Company in 1979. It evolved into a mail order catalogue business, before creating its first website in 1999. Kingfisher acquired the company the same year. Screwfix currently has a network of 580 stores across the UK with a further 19 stores in Germany. Further UK stores are planned to open in the next few years.